Yes. You can now take my full edition Business Data Analysis with Microsoft Excel course on Udemy for free. 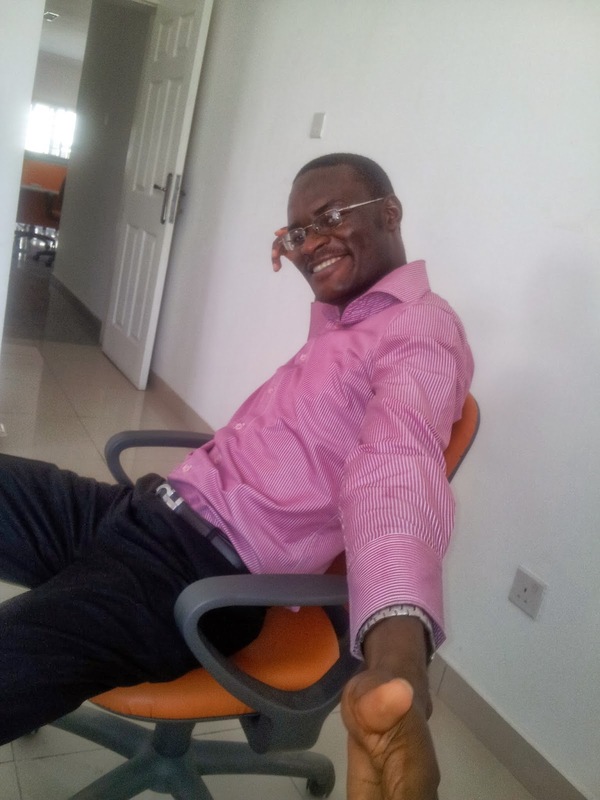 I have got an issue with receiving my payments/revenue here in Nigeria so instead of letting money waste away I have decided to make the course free till I can find a solution to the income receival problem. This means this is a limited time offer. I have once charged as high as $250 for the course and now it's got more contents than then. It's very highly rated. Even you don't feel it's for you, be nice and forward to people who will benefit immensely from it. Business Data Analysis skills and Excel do get people jobs, promotion and the right kind of attention in the corporate world. Microsoft Excel is the world's most used and versatile business analysis, reporting and strategy software. Having a deep practical knowledge of Excel will turn you almost superhuman at work and increase your productivity. You will be seen as a very efficient, highly competent and indispensable partner in the organization's progress. And, hopefully, it will lead to a much greater career role and opportunity for you. This training is going to focus on making you highly proficient in the use of Excel for business data analysis and reporting the professional way. And most of this would be achieved through lots of samples that will be similar to what you'll need at work. The training is constantly being updated with new interesting content. The goal is to have the most comprehensive and up-to-date business data analysis with Excel course. The training requires having Excel 2010 and above. Excel 2007 will also work but you won't be able to practice the PowerPivot example. You also must be ready to practice every topic covered as there are companion practice along Excel files for every topic. Constantly being updated with new content and covering more areas of business data analysis. Become proficient in the use of VLOOKUP, HLOOK, LOOKUP to get last item, INDEX and MATCH to make automated dynamic dashboarts/reports. Learn how to use Sorting in more advanced ways: multi-level sorting, sorting left to right. Learn how to create professional and great looking charts in Excel and understand when to use a particular chart type. Be introduced to Excel VBA, shown how to create a macro by clicking a particular button twice. This course is designed mainly for business professionals who use Excel a lot at work. It is built entirely out of my experience teaching over 500 business professionals over the course of two years on Excel, business data analysis and VBA. It focuses on giving you business productivity improving Excel skill and tips using practice files I built to mirror Excel consulting jobs I have done for companies. The course is best suited for people who currently used Excel at work and will benefit from improved Excel skills for reporting, presentation and analysis. However, if you seldom use Excel and just want a certificate in Excel for CV purpose, you will find it hard to put in the commitment required to finish this training. You should consider the Microsoft MOS training as it is more ideal for CV building. This course is also not for people who want to learn business data analysis but not with Excel. The entire course is Excel based. 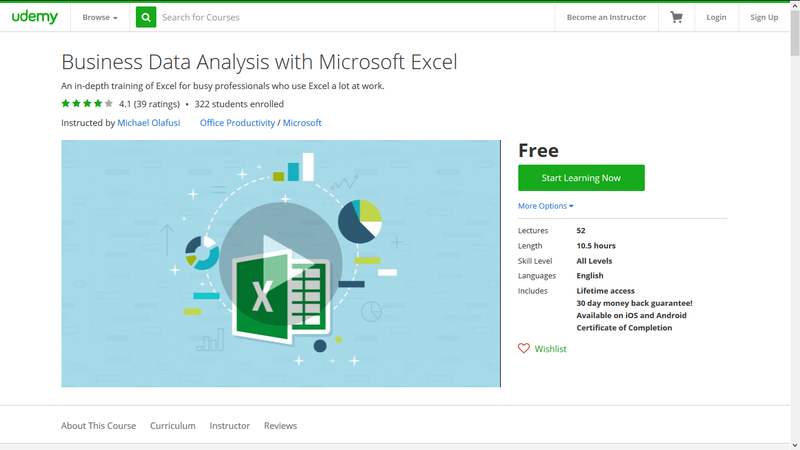 Register for the Business Data Analysis with Microsoft Excel course on Udemy for free. Awesome!! I have signed up for the course. Mobil Oil Nigeria Up; Exiting S&P 500. I Am Now Using A Mac. Well, A Hackintosh. President Donald Trump. He Won!